A man has been detained for four years for driving a car into a group of pedestrians, injuring four of them. Wahib Roy, 19, of Neston Road, Leicester pleaded guilty at Leicester Crown Court to three counts of dangerous driving and causing grievous bodily harm. He was also disqualified from driving for two years following his release. 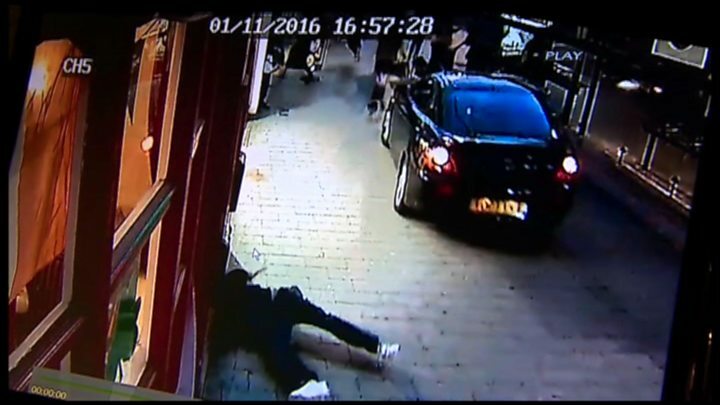 The crash happened in Humberstone Gate, Leicester, in the early evening of 1 November 2016. One woman was taken to hospital with serious injuries after the crash and three men were also injured. At the time, witnesses reported seeing a car mount the kerb before ploughing into a group of people near a bus stop. One man said a teenager was "launched into the door of a fast food shop" while a woman was "sent flying". A black Hyundai was later found abandoned in nearby Bishop Street.